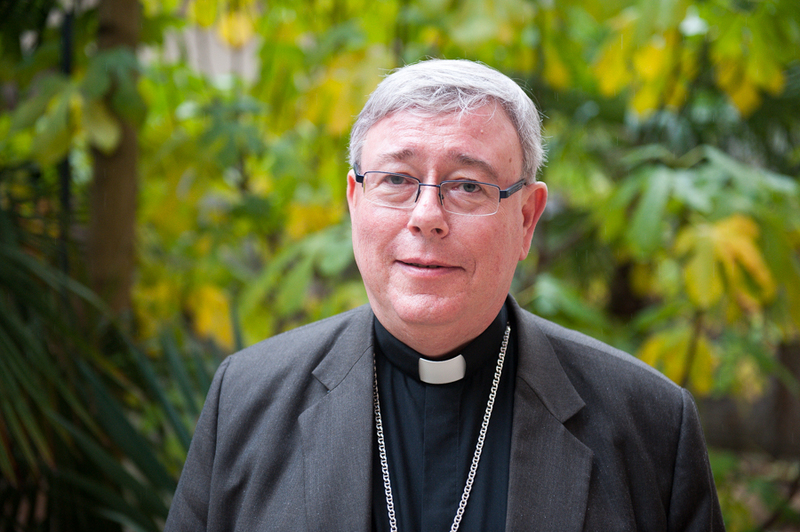 Archbishop Jean-Claude Hollerich of Luxembourg was elected president of the Brussels-based Commission of the Bishops' Conferences of the European Community March 8. The Bishops Conferences of England and Wales and Scotland are to maintain their observer statuses at Comece, the commission representing the European Union's Catholic bishops, after Brexit. The decision was announced during Comece’s recent plenary meeting in Brussels. "EU churches wish to send a clear signal that they stand for a united Europe", said the Austrian Church's Comece delegate, Bishop Egidius Zsifkovics. "Brexit is a tragic development, particularly since Europe owes so much to Britain, so it's important to all our members that British representatives continue participating in our discussions". Catholic bishops from across the EU’s 28 member states attended the spring assembly in Brussels, as did the EU Commission's president, Jean-Claude Junker. In his 50-minute speech to the COMECE assembly Mr Junker expressed his admiration for the social teaching of the Catholic Church. "I am a fervent advocate of the social doctrine of the Church,” he said. “All of this is part of a doctrine that Europe does not apply often enough. I would like us to rediscover the values and guiding principles of the social teaching of the Church". Mr Junker said the will of British voters to leave the EU should be respected, but added that the Union was "in a better condition" than many believed, helped by its espousal of Christian values, including "respect for human dignity regardless of race and sexual orientation". Elsewhere in the meeting the bishops reaffirmed the Church’s commitment to address challenges facing Europe, and singled out new technologies, global warming and migration. A joint statement from Comece members urged European citizens to "protect and promote the common good". However an Italian bishop, Mariano Crociata, told Vatican Radio many Europeans were now unsure "why their countries should be in the EU" having come to see it as "a purely bureaucratic reality, which lives its own life without dealing with the fate of nations and people's problems". Comece president Archbishop Jean-Claude Hollerich of Luxembourg, said Europe's bishops were concerned at rising support for "populist parties opposed to Europe" in the run-up to the European Parliament's 23-26 May elections, and urged "everyone happy with life in the EU and seeing its benefits" to make sure they voted. He warned that the EU also required deep reform and a greater openness to dialogue. "We need to understand others properly and appreciate their yearnings", Archbishop Hollerich told Vatican Radio. "Europe was always the product of a certain compromise, and this didn't result from a fear of truth or reality, but from treating others seriously". Founded in 1980, COMECE runs a Brussels office with 13 mostly lay staffers and vigorously backs closer European integration, facing periodic criticism for going beyond its mandate by defining Church policy on key EU issues. In a February statement, it said the Catholic Church had been "part of the European construction for over two millennia", and called on the continent's citizens to end "sterile confrontations" by voting in the May elections to "renew brotherhood amongst people and relaunch the European project".